Promotional Kid's Red, White & Blue Oahu Sunglasses are suitable for the promotions of schools, amusement parks and also businesses that are providing special features for kids. These custom kids’ sunglasses are presenting an imprint area of 1 1/2" x 1/4" and are available in a color combination of Red/White/Blue. UV400 lenses make these custom sunglasses more worth in outdoor events and sports matches in sunny conditions. 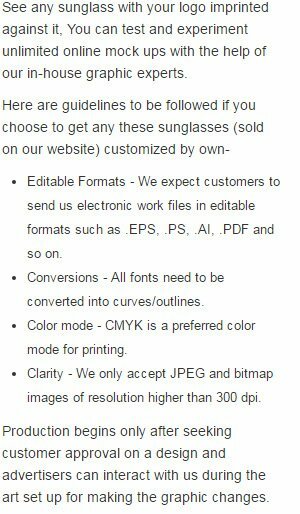 Place your order for these custom printed sunglasses right away to win free artwork design and free online proofs facilities. Request a quote to know savings that you can pocket on bulk ordering this Promotional Kid's Red, White & Blue Oahu Sunglasses.